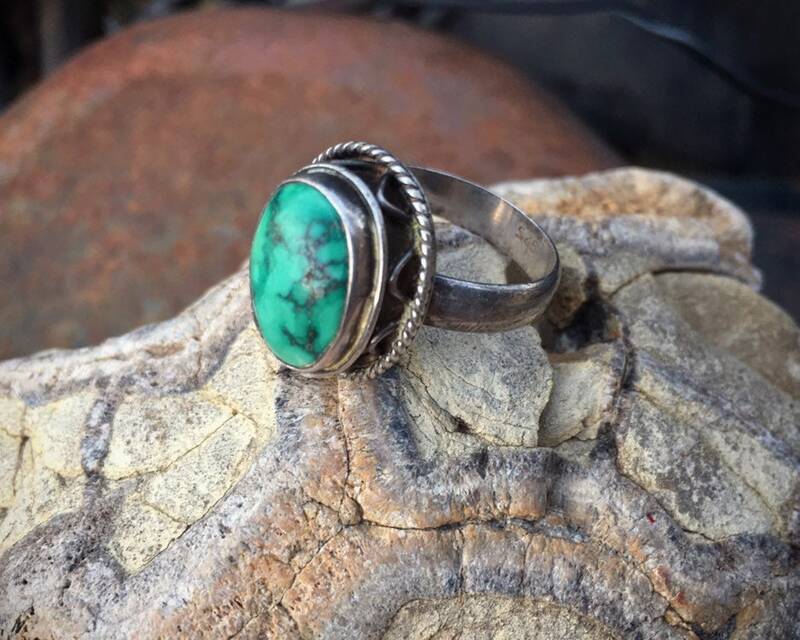 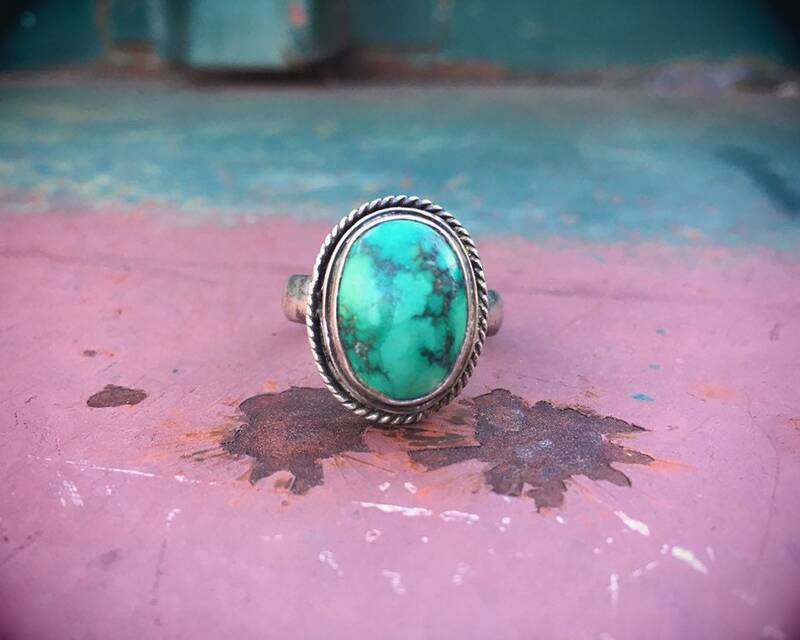 This ring is stand out for the beautiful cabochon of turquoise, which actually is something called Damelle turquoise, which comes from Nevada and is known for the green color and has spiderweb matrix running throughout. 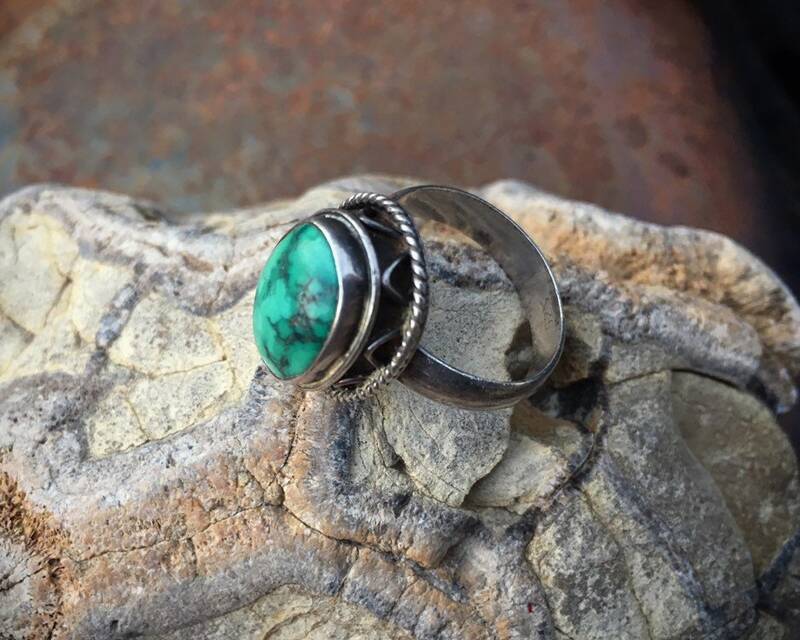 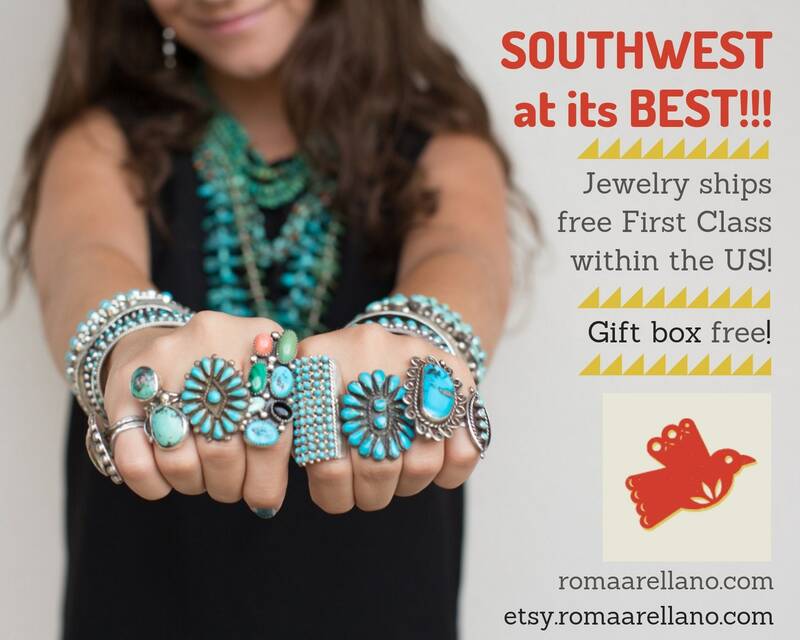 The ring is not Native American; hence, we call it Southwestern style. 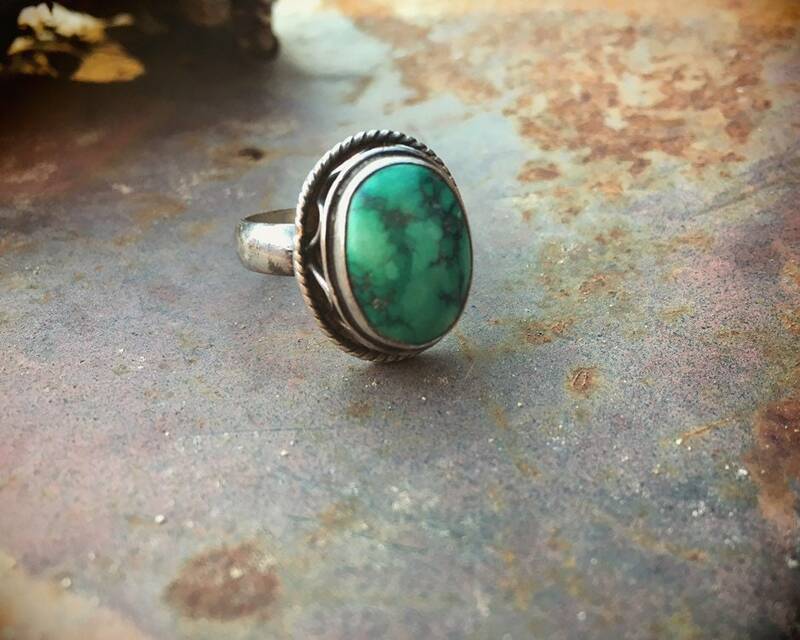 Great simple ring for everyday wear. 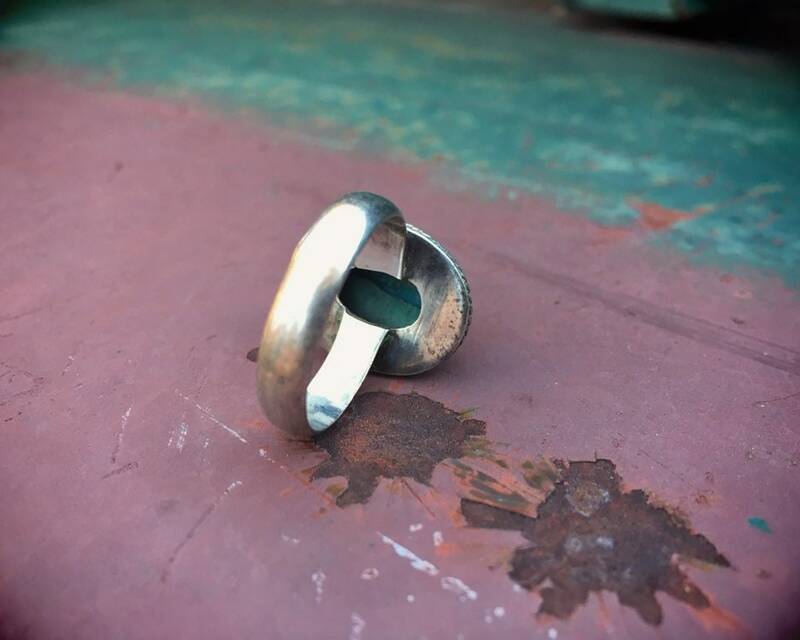 The ring face measures 3/4" long by about 1/2" at the widest point. 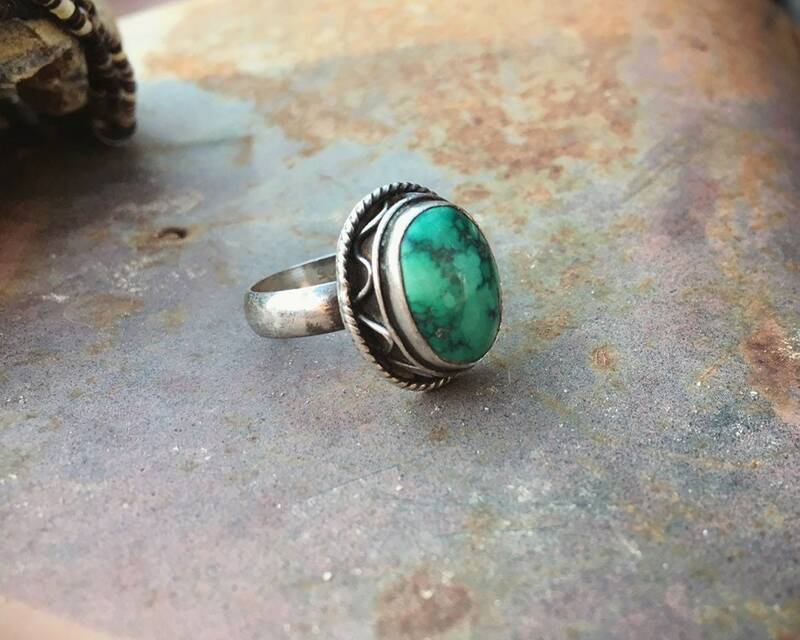 Is a Size 8.25. 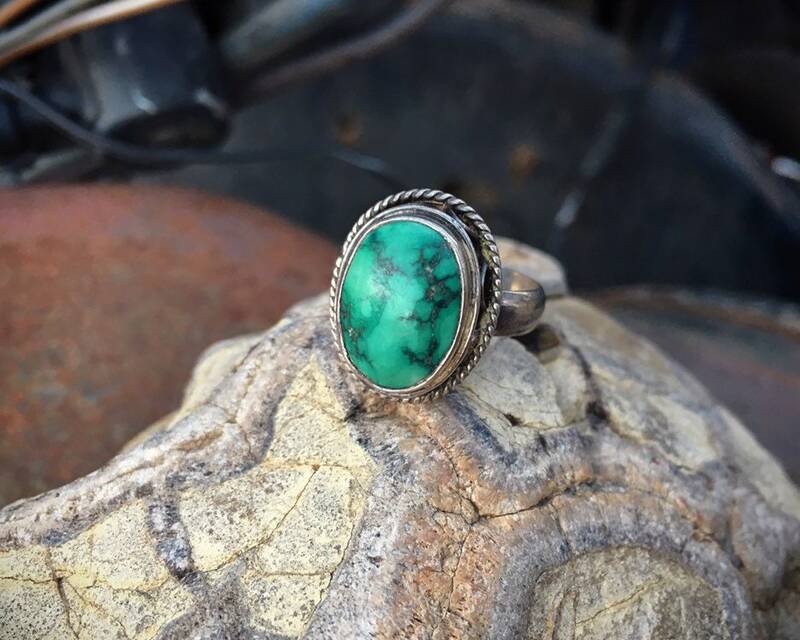 The silver has some scratches from wear and age but otherwise in good condition.